In the Hifime UAE27 dac we have managed to fit the high resolution, audiophile Sabre ES9018K2M DAC chip in a tiny compact box, the same used in our U2 and UAE23 Sabre dac's. We used a double PCB to be able to fit in this small box. This chip has great specs like 127dB DNR, -120dB THD+N and patented Time Domain Jitter Eliminator. 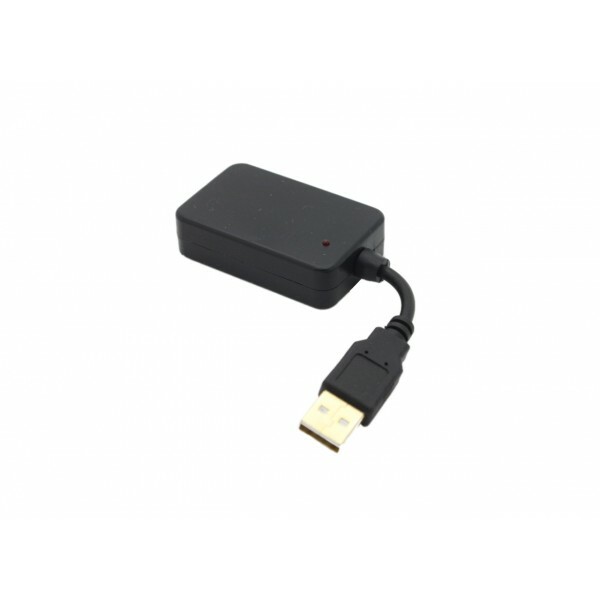 The USB receiver is the Savitech SA9227 USB used in asynchronous mode (more about that here). It supports all sample rates up to 384kHz/32 bit and are clocked by two onboard oscillators. Hifime 9018 has MAX97220A headphone chip that can drive headphones down to 16 ohm as well as higher impedance headphones as the Sennheiser HD650. The volume level goes quite loud, more than enough for 300ohm HD650's. It works without drivers in Mac, Linux, and requires drivers to be installed in Windows. Note that 384kHz only works with ASIO which is accepted by some programs only, and not by Chrome, Youtube etc. Chrome on Mac's also doesn't support 384kHz. It uses by default USB Audio Class 2 which is required for sample rates above 96kHz. It will switch down to Class 1 if USB High speed mode is not available. It also have (like the U2 and UAE23) an optical output, which works up to 192kHz. In addition to normal PCB format It can play DSD files. We think the sound of this DAC is really great! Another cool features is that it works with Android 5.0! This makes it a super small portable highly audiophile solution. Only caveat with phones is that it draws much more power than our smaller Android dac. The Nexus 6 battery lasts for 6 hours when playing constantly with the 9018 dac. Volume level responds to computer hot keys, -however only in 8 steps. This is the behaviour of SA9227 USB receiver. You can fine tune volume level in software. Works plug-n-play with Android 5.0 Lollipop (Nexus 6 tested). Responds to system volume level/vol+/. keys. Output power: 1.05Vrms/2.94Vpp@1kHz. 31mW @ 32ohm. In real life this DAC is much more powerful than UAE23/U2. It can drive most 16-300ohm headphones. Download Savitech Windows driver here (updated april 16th). New driver supports Win 10 here. The windows driver must be installed for the DAC to work on USB 2.0 ports. However you don't have to use the ASIO output. The ASIO driver's control panel will say "Device not available" even if the dac is connected. It will only show the device name when you have selected the ASIO output in a player program and when playing music. Guide to setup DSD playback in Foobar here. Foobar plugin files for DSD playback here. I hope to see micro usb option as the purpose of taking this DAC is for phone. Would you consider for this ...? We did consider this actually, however as the dac draws power quickly, we think it's not that convenient. It can also be used with the small OTG adaptor. Then you can also use it with your computer. We could make a few with microUSB next time if there is enough interest. It works from my laptop with USB Isolator. I thought it didn't work because of power comsuming but it does work. I know I can't go up 96/24 but that's ok, I use Tidal with it. And the USB Isolator really does work! Very happy. Works on LG Nexus 5 (2013) v5.1.1. Tried with Tidal App and Youtube. Simple plug and play. This 9018 Sabre DAC has a refined sense of balance between flat and dynamic - incredible precision, it's analytic, even more so than the U2. Unlike the U2, this 9018 DAC needs an amp into high impedance phones to get all the detail. I use a hybrid valve amp it keeps the detail with the warmth and silky zest of valves. This DAC will reveal floors in recordings easily and recorded distortion will appear unveiled leaving you certain where the distortion originated. Quality sources will sound not just precise, but balanced across the frequency range, with vocals sounding vivid and textured. The volume control is a annoying, so few steps, another reason this DAC is really well suited to being amped. It might be ok to go direct with lower impedance headphones, it has ample volume in any configuration, but this DAC deserves an amp and quality phones. It's simple, just trying to not interfere with the base output of the fantastic Sabre design, it doesn't need to try too hard. This model is discontinued. 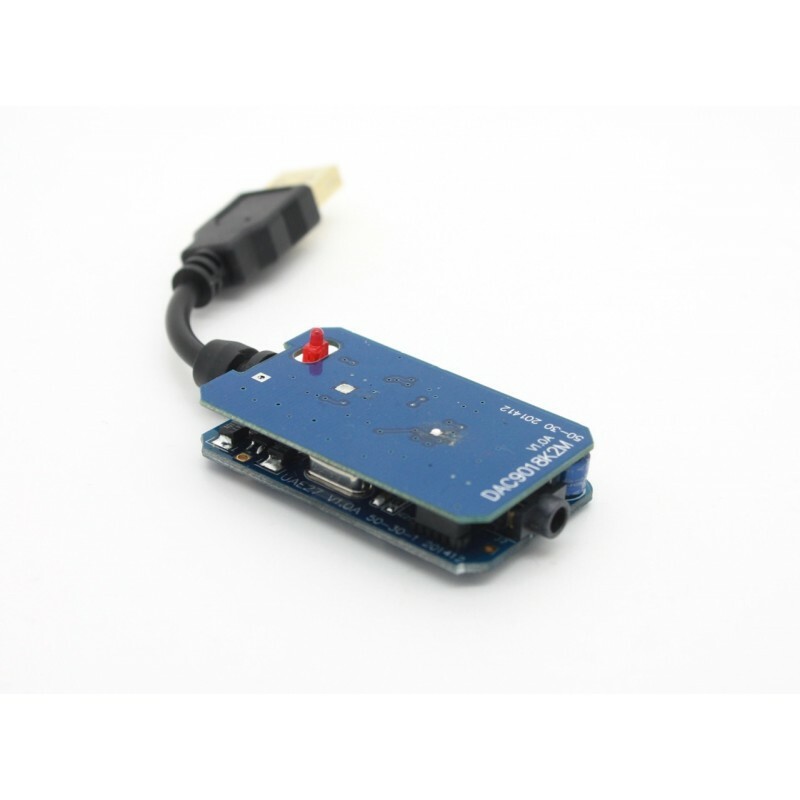 The new version is here: https://hifimediy.com/Sabre-9018-DAC In..
A very small, cheap and convenient microUSB OTG adaptor. 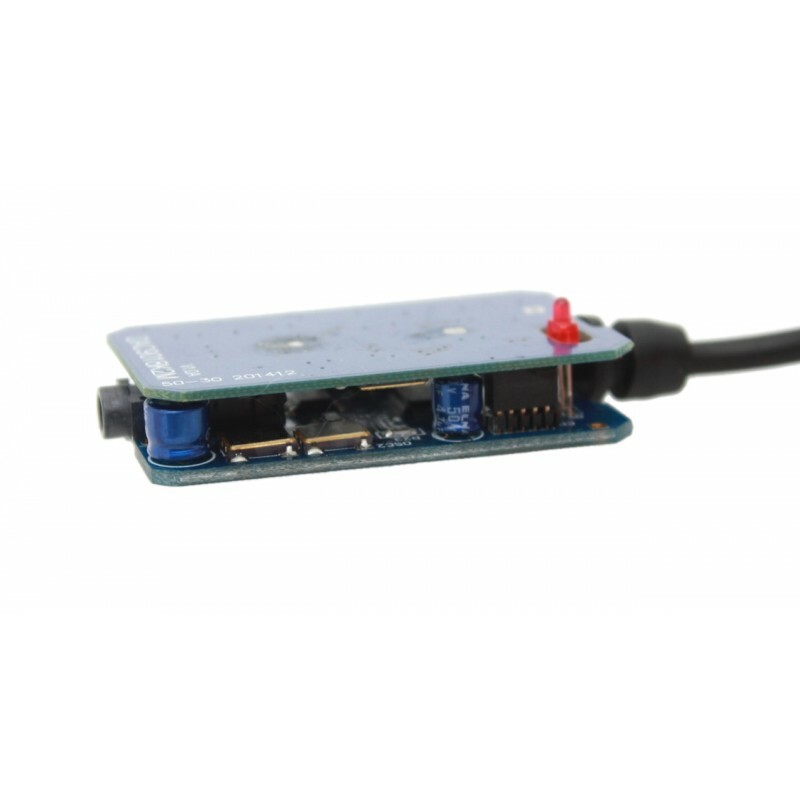 This enables you to connect DAC's and USB t..
One piece 3.5mm (headphone jack) plug. ..
HiFimeDIY UX1 USB DAC (Sabre ES9023) + USB to SPDIF and SPDIF to USB converter This is a ver..